Konnichiwa! We’ve got a very exciting trip coming up. My husband is working in Tokyo for three months, so I’m taking the boys over to see him in a couple of weeks, over February half term break. It will be my fourth trip to Japan (my husband and I actually met in Japanese night class, so we’ve taken a couple of trips there together), but it’s the first time for the kids. In anticipation of our trip, we’ve been reading up about Japanese culture and Oskar really wanted to do some origami. And then he suggested we make a video of it (that boy has really got the video making bug!) 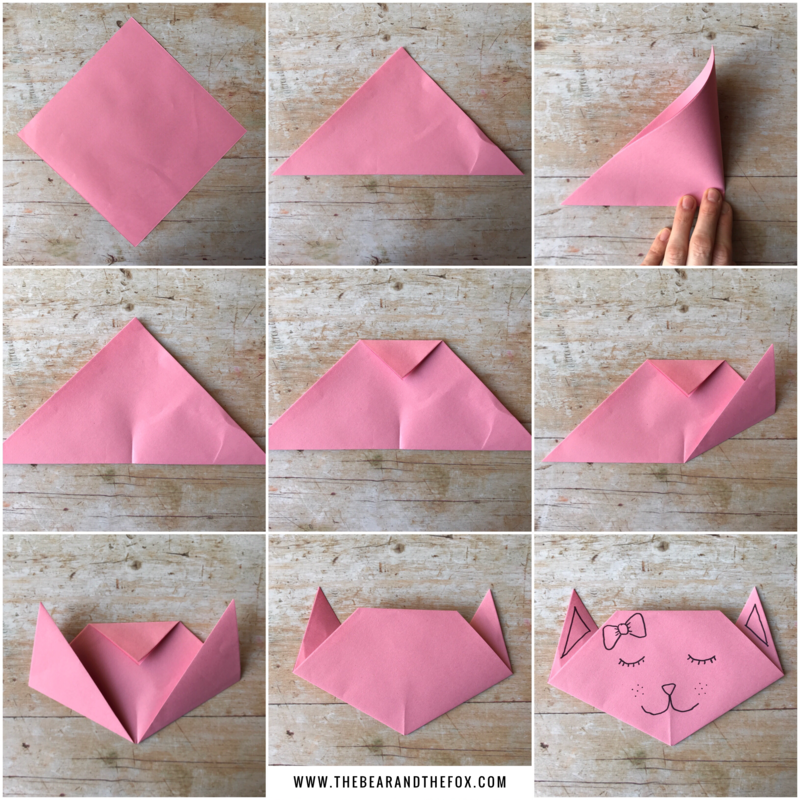 So, here is our easy-peasy tutorial to folding origami cat heads! 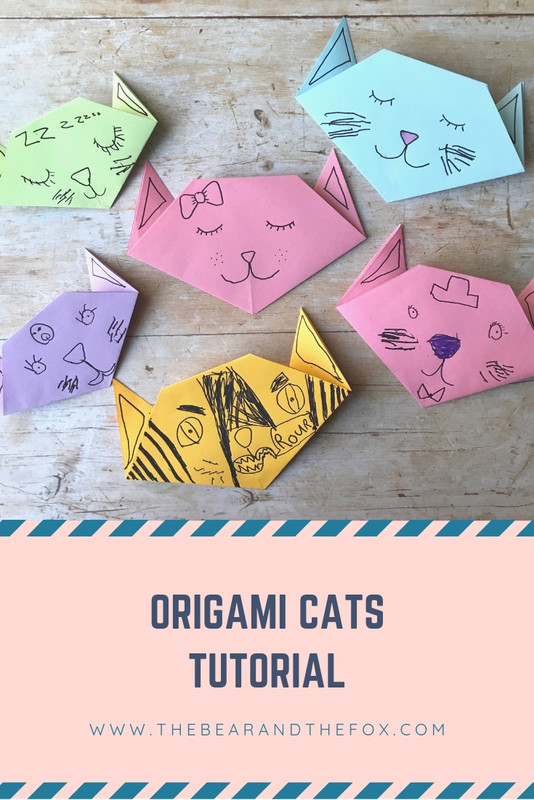 I hope you have fun making your own army of origami cats! I’d love to see if you do – please feel free to share your pictures with me on social media, and to tag me in on Instagram and Twitter. We love cats! These are super cute and simple too. We will be giving these a try. Oh I love this!! I used to really enjoy origami, I havent done it for a while but my kids would adore this! Oh these look like so much fun! I’ve saved this so I can try it with my daughter later in the week!